Boston Pizza restaurants offer a casual dining setting with over 100 menu items including gourmet pizzas made with our signature hand pressed dough. We also have mouth-watering pastas and a wide variety of appetizers, salads, entrées and desserts. The restaurant is perfect for families, teams and groups of all ages and our sports bars are packed with big screen TVs to catch your favourite game. These are the things that keep our guests coming back again and again. Boston Pizza has more locations, serving more guests annually than any other casual dining concept in the country. Order boston pizza gift cards online below. Issued by Boston Pizza International Inc. This card will not be replaced if lost, stolen or destroyed. Present this card to the server and the available balance will be applied to your purchase. Your use of this card constitutes acceptance of the following terms: this card can only be used for purchases at participating Boston Pizza locations, and the balance cannot be refunded, redeemed for cash or applied as payment to a credit card account, except as required by law. To check card balance, please visit any Boston Pizza location or https://order.bostonpizza.com/. 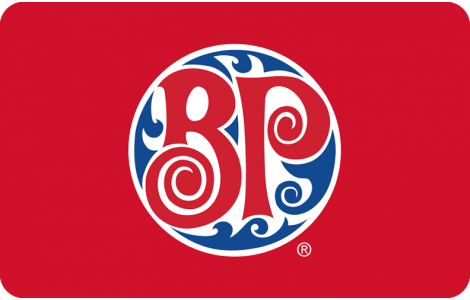 Boston Pizza and the Boston Pizza roundel are registered trademarks of Boston Pizza Royalties Limited Partnership, used under license. “Here to make you happy.” Is a trademark of Boston Pizza International Inc. © Boston Pizza International Inc. 2015.